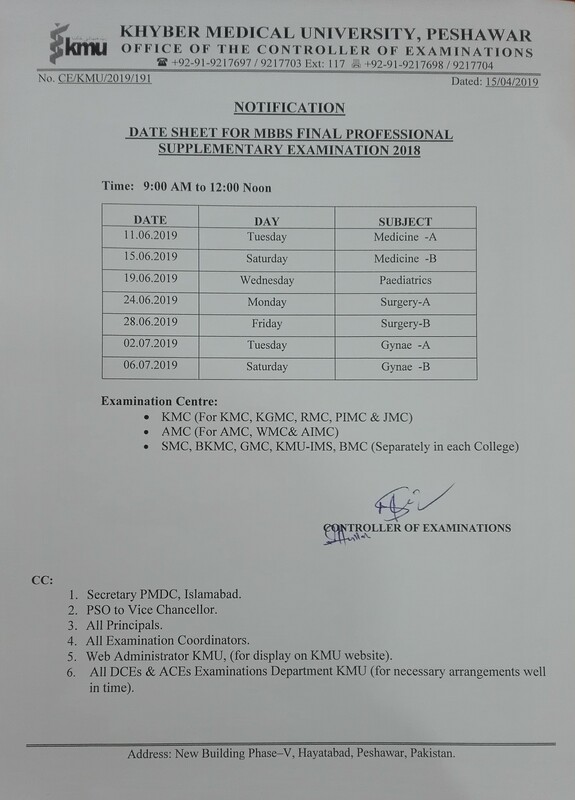 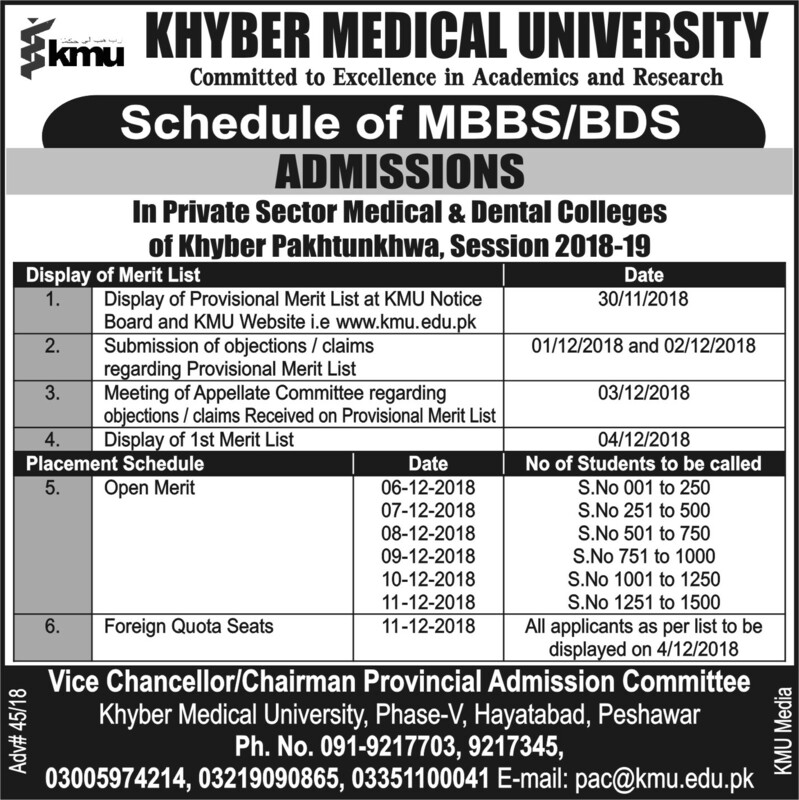 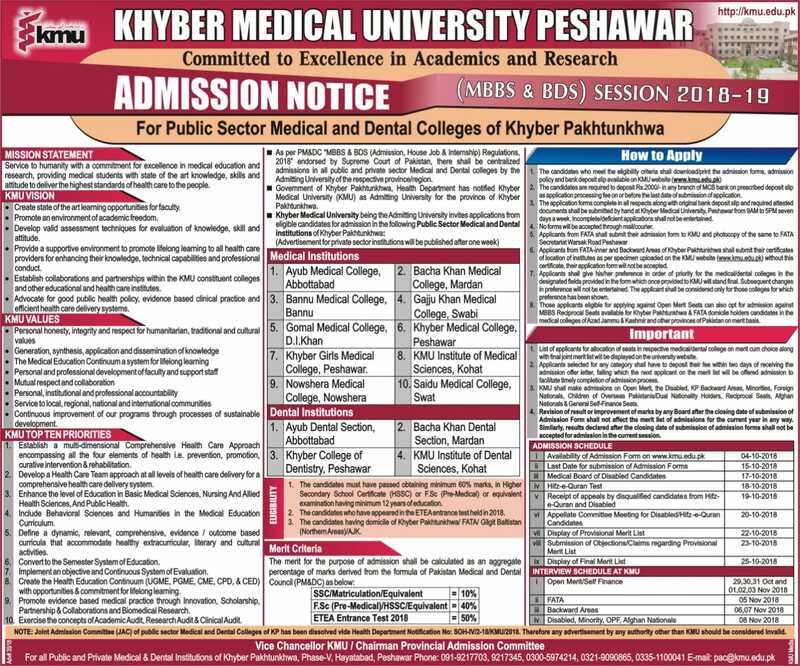 it is notified for the information of all candidates who have applied to KMU for admissions to public sector Medical and Dental institutions that revised marks/results have been incorporated to your application forms for determination of merit. 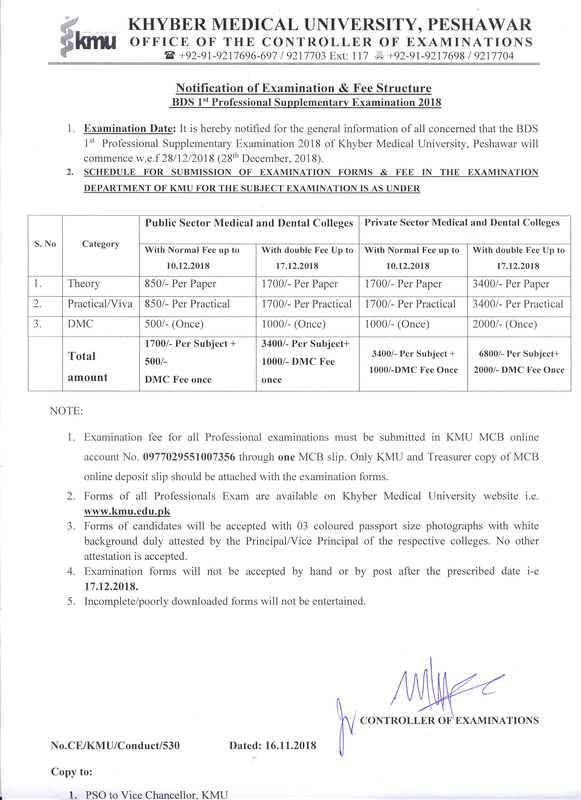 There is no need to re apply or send your revised ETEA test result to KMU. 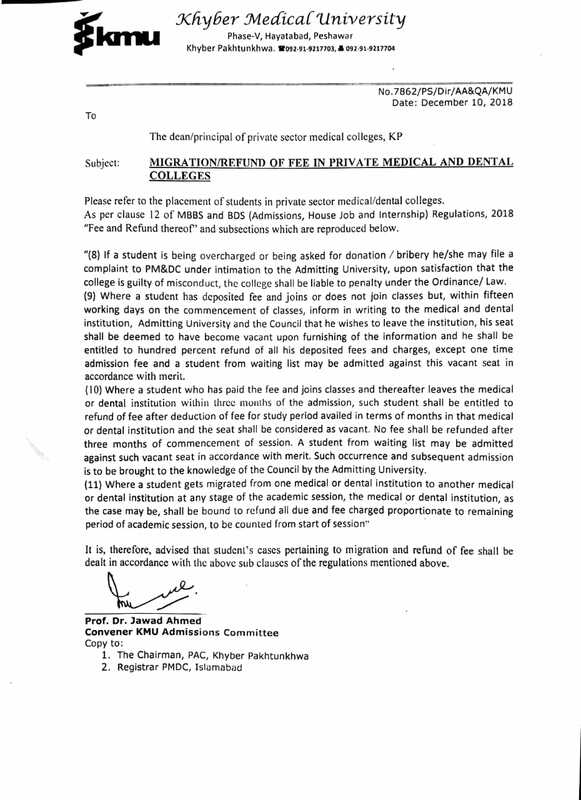 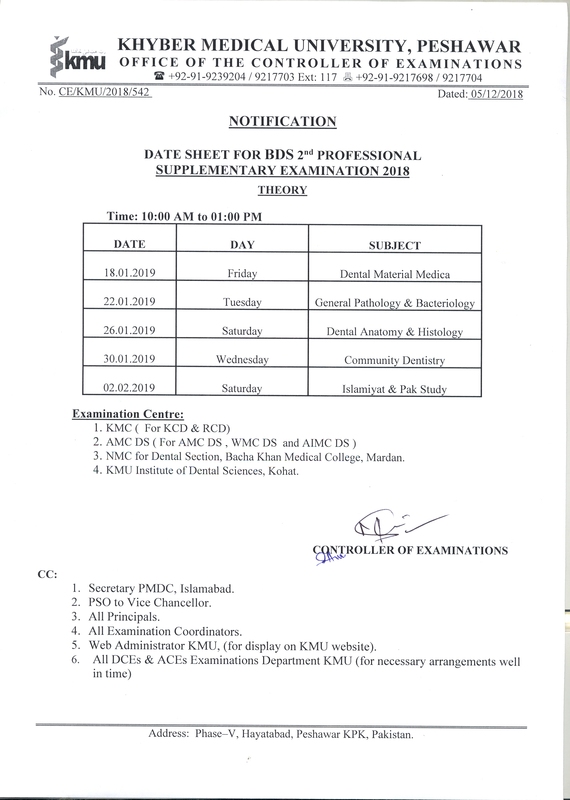 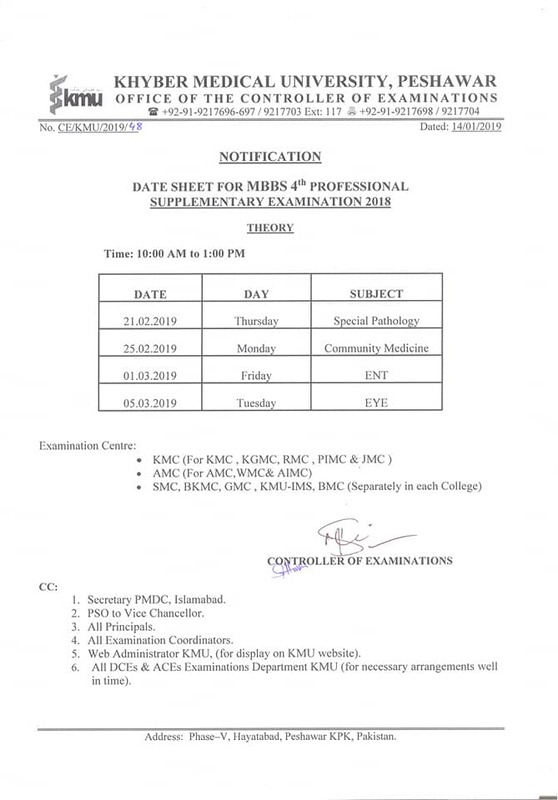 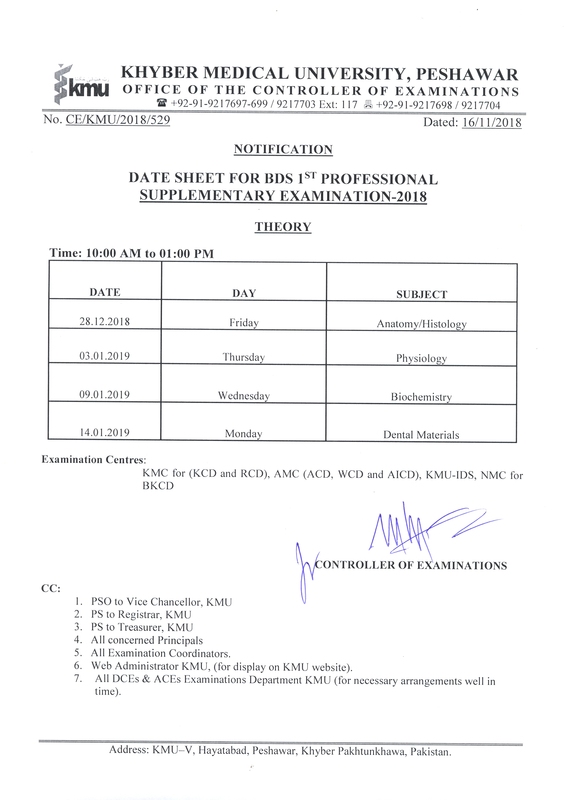 Any query in this regard may be communicated to KMU after display of provisional merit list.